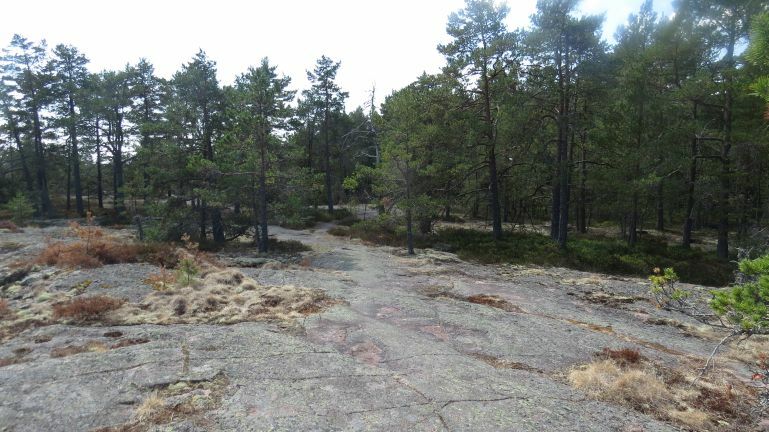 This sort of rock flats is quite common on Åland as well as in the Stockholm area and in south of Finland, but, I am told, not very common elsewhere. It's a remnant from the ice age, when the land was pushed below the sea level of the ice and then scaled of its soil by the sea when the ice had melted and the land was rising again. What is different to the Stockholm area, though, is the amount of red colour in the stone.